Over the past years, being tasked with maintaining combat readiness and fighting to defend Hanoi Capital City’s sky, the Division 361’s Party Committee and Command (under the Air and Air Defence Force Service) have concentrated their leadership and direction on comprehensively implementing the tasks and unceasingly enhancing its combined and combat strength. In this regard, priority has been given to making the unit comprehensively strong to firmly manage and defend Hanoi Capital’s sky and the assigned targets, avoid falling into passivity, deserving the tradition of a Heroic Unit and the confidence of the Party, the State, the Military and the people. In recent years, under the guidelines on building the Air and Air Defence Force straight to modernity, the Division has been equipped with advanced materiel and hardware. This is a favourable condition for the Division to improve its capability in combat readiness and strength, meeting the mission requirements in the new situation. However, in performing the task, the Division is confronted with difficulties and challenges as the mission requirements are increasingly demanding, its affiliates are stationed in tens of provinces and cities, and several cadres and troops’ families face difficult circumstances. In addition, it is the dark side of market economy mechanism and acts of sabotage by hostile forces that have been strongly influencing the Division’s task performance. Against this backdrop, first, the Division has focused on building strong unit politically, considering this work as the most important basis for making the unit comprehensively strong. To that end, due attention has been paid to carrying out the work of political education and ideological management and orientation, and improving the effectiveness of the party and political work by each office and unit. Nowadays, to meet the developments of the task, the Division has directed its units to enhance the work of disseminating and introducing the Party’s military and defence line as well as the Service and Division’s task in the new situation to their troops. At the same time, units have been required to make cadres and troops fully understand the position and importance of the targets for protection, higher echelons’ directives, orders and regulations, and the enemy’s new plots and artifices of air operations to achieve a consensus on awareness and action within the units. 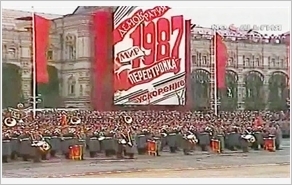 During the course of implementation, the Division has directed its units to actively renew contents, forms and methods of education; to closely combine basic education with task-based education and traditional education; to stringently maintain the Grass-Roots Level Democratic Regulations and the order for the Political-Spiritual Day and political briefing in order to opportunely orient troops ideologically against arising complex issues. It should be noted that the Division has adopted measures to build its troops’ confidence in the method of air combat and the art of air operations with the existing materiel, while resolutely fighting against the absolutism of materiel which leads to the subjectivity within the units equipped with modern weapons and hardware and a lack of confidence in those managing and using old-fashioned ones. Besides, importance has been attached to building pure, strong party organizations through synchronous measures, with a focus on effectively implementing the Party’s Central Resolution 4 (11th tenure and 12th tenure) in line with the 12th Politburo’s Directive 05-CT/TW (12th tenure) on acceleration of Ho Chi Minh’s thought, ethics and lifestyle to train cadres and party members. At the same time, it has consolidated the organizational structure of party committees and organizations as well as contingent of key cadres at all levels. Up to now, 100% of party cells in the Division’s Party Committee have party executive committees. Annually, over 85% of party organizations are assessed as pure and strong while more than 85% of party members successfully fulfil their task. Accordingly, those results have made a change in leadership capability and combativeness of party committees and organizations, particularly in grass-roots units. Improving the quality of training and capability of combat readiness has been seen as the central task and motivation for the Unit’s improved synergy and combat strength. Thus, grounded on higher echelons’ resolutions and directives on the training work, the Division has developed specialized resolutions and plans on performing this important task. To make a breakthrough in training, the Division has directed its units to renew the work of leading, directing and operating training as well as the content, organization and method of training and exercise. Units have been required to take training on mastering materiel and improving manoeuvrability as the focus and preparations for annual training, especially training courses for cadres and preparation for training ground and aid as the important step. During the training courses, the Division has closely followed the principle “basics, practicality, thorough grasp, safety, economy”, with emphasis placed on compatible, specialized, focalized training relevant to combat reality of each force (radar, missile, anti-aircraft gun) amidst the enemy’s employment of hi-tech weapons. To meet that requirement, due regard has been paid to training the combat crew from Division Headquarters level to detachment level as well as training on tactical line-up and the shift of combat readiness status. At the same time, the Division has focused on training to master individual and cooperative technical movements in batteries, groups of vehicles and radios, and the whole detachment. 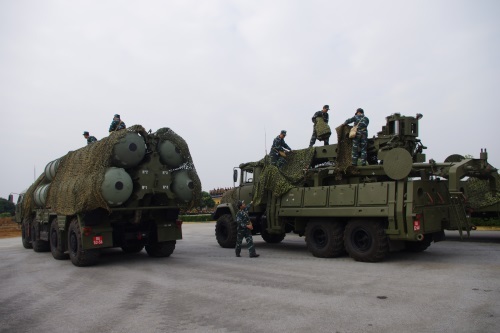 Moreover, it has increased training to improve manoeuvrability and capabilities to deploy and withdraw military hardware as well as joint combat training. In recent years, it has been provided with modern materiel, such as S300-PMU1 Spyder, and S125-2TM missile systems, 36D6-M radar, ZSU-23-4M self-propelled anti-aircraft guns. Being proactive and highly determined, the Division has closely combined the organization of crew-based forces to send troops to study abroad with the increased domestic training. As a result, units have quickly mastered, exploited and deployed new weapons and equipment for the task of combat readiness. In 2017, the Division and 7 out of its 7 regiments were given the title “Good training unit” and won many top awards in 10 competitions held by the Ministry of National Defence and the Service, while taking part in live-firing exercises such as PK-17 and MB-17 successfully and safely. In parallel with training, the Division has regularly strictly maintained the order for combat readiness at all levels and proactively formulated and completed the system of combat projects and plans for coordination to protect the Capital’s sky in line with the development of the situation and mission requirements. It has directed its units to increase practice for the designed projects to enhance troops’ capability in combat readiness. In many past years, the Division’s quality of collecting and transmitting intelligence has always exceeded the targets without wrongness, omission, retardation. Due attention has been paid to the work of regularity building and discipline management. As the Division is stationed in a large area with various small-scale stations and posts, it has attached great importance to the work of troop education to build their sense of observance of law, military regulations and regulations of the Service and the Division, while actively improving cadres’ knowledge and experience as to troop management and training, particularly for platoon and company cadres. The Division has required cadres at all levels to raise a sense of responsibility and set examples in all operations, particularly in combat readiness for inferiors. Over the past time, it has stepped up the implementation of “2 reductions, 2 nos”1 and adopted 9 measures to reduce the number of traffic accidents and 9 measures to prevent violation of the State’s law, Military discipline and unit’s regulation. As a result, a drastic change in troops’ manners has been made while there has been no serious violation of law and discipline within the Division, which has contributed to its successful fulfilment of the assigned task. In addition, consideration has been given to the work of logistics and technical support. Equipped with a large quantity of weapons and equipment of all types, including old weapons and equipment which have been used and exploited for ages, and modern ones which require strict, complex technical maintenance, the Division has actively organized training courses to improve cadres and technicians’ professional competence and skills of exploiting, using, maintaining and repairing weapons and equipment. At the same time, it has directed its units, stations and posts to maintain and repair old-generation weapons and equipment; to accelerate the implementation of the Campaign “Managing, exploiting weapons and equipment effectively, sustainably, safely, economically, and Traffic safety”; to maintain the order for “Technical Day” and “Technical Hour” at all levels. As for the logistics work, due attention has been paid to ensuring material resources, promoting internal resources, increasing food production, consolidating barracks, protecting and taking care of troop health. Promoting the recorded results, in the time to come, the Air Defence Division 361 will keep making the unit comprehensively strong, contributing to modernizing the Service straightforward and successfully fufilling the task of defending the Capital’s sky in all situations. (1) - 2 reductions: 1. Reduction in serious violations of discipline. 2. Reduction in traffic accidents. 2 nos: 1. no violation of law; 2. No training and working accidents.